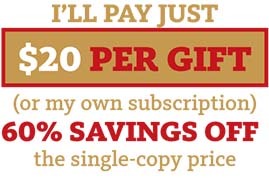 I'm already a subscriber, and I would like to Renew my subscription at this special discount price. 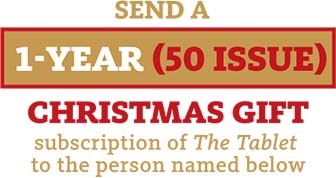 SUBSCRIBE 1 Year (50 issues) $50 $22! Yes, I’d like to receive emails about my subscription and the Diocese of Brooklyn. We understand that your email address is private. We promise to never sell, rent or disclose your email address to any third parties. Ever! I would like to support the publishing mission of The Tablet by making an additional donation today. © Copyright 2019 DeSales Media Group, Inc.